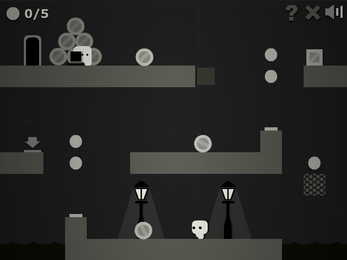 The Top Hat Club is a platform game with some puzzle elements. The player must collect the top hat on each level before proceeding to the club entrance. The game includes 25 levels, achievements and secrets to unlock. Gain entry to the exclusive club where top hats are a strict dress code requirement. 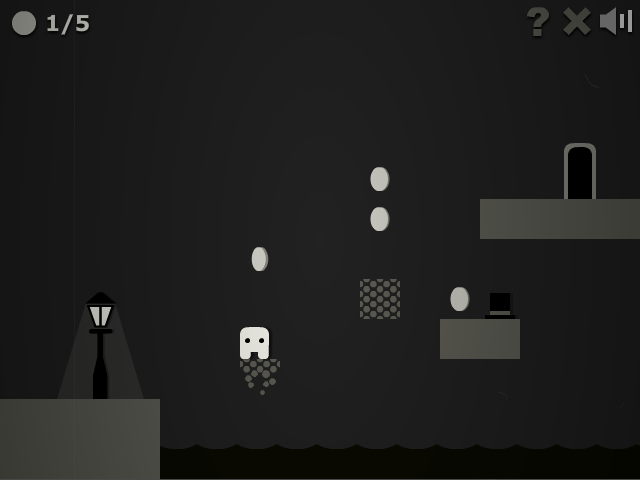 The Top Hat Club is a platform game in which the player must collect the top hat on each level before they can get into the club. Each of the 25 levels provide a variety of obstacles to overcome, and collecting all of the coins on each level provides a further challenge for the completist gamer. Presented in glorious monochrome with a pseudo-victorian style. The Top Hat Club is a game originally released in 2012 as a Flash browser game. 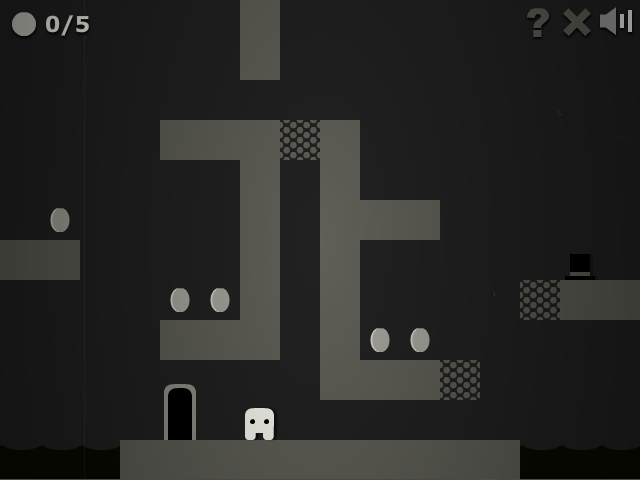 As browser based Flash is rapidly becoming less well supported, the game has been packaged up as a standalone executable in the hope that others will play and enjoy it. Loved the game but there is a bug on the last level when you are in full screen the screen fallows the enemy instead of you. Thanks for letting me know. I’ll take a look. Marsh enjoyed this game and is now in the club! I got stuck on like the 2nd or 3rd level! Hey Guys, the game looks really cool and I'm eager to have a play but I had a bit of a bug in that when I got the top hat and entered the first door the level didn't end. I was able to move left and right right for ages. Have you come across this bug before? Thanks for your post. I haven't seen that bug before but I will look into it as soon as I can. I've looked into it but I haven't been able to reproduce this bug. Is there anything further you could tell me about how it happened? Does it happen every time or was it just once? Let me have another play now and I'll post the video for you. I've posted a video for you to have a lookj at. I'm probably just doing something wrong but hey ho. and just for a giggle. Great, thanks for the video - it should help diagnose the problem. I’ll dig into the code and hopefully find a solution. I think the problem might be occurring when the game attempts to save progress. For some reason it might be failing to do so on your computer. I added some checks in so that if the game isn't able to save it should carry on anyway. I've updated the build with these changes. I had a bug in my video where I finished the level before the first "fight" - next level wouldn't load but I could hear me jump (see my video) Restarting game resolved the issue though. You need a lot more than just a hat to get into the club.